Joint pain from lifting weights in the gym is a hurdle that every serious athlete must someday face. The only variable is what you decide to do about it. Every single joint in your body has a very finite span of accessibility. This is influenced by age, but more-so joint health is influenced by wear and tear. Think of it like a clutch in your old muscle car: with the right finesse, you can drive it hard and for a long, long time. But, if you don’t pay attention to the little things, or worse, the big things- you’re in for some serious trouble. Below we have a professional article about the overview of joint pain. At the bottom, we will follow up and make suggestions as well from our point of view. 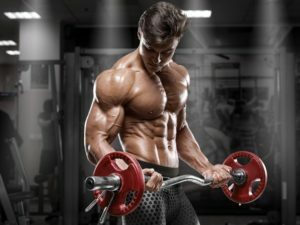 Whether your a power-lifter, Aesthetic Bodybuilder, athlete, or a combination of the above; here’s the basics you’ve got to know. When people talk about working out and getting fit and healthy, it obviously sounds like a wise and healthy lifestyle choice to make. You workout and exercise, you lose weight, you get fitter, you improve your circulation and blood flow, and you build lean muscle mass in the process. However, one common problem that many people don’t tend to take into consideration, is the fact that many people actually often suffer from painful joint problems and other nagging injuries whilst working out and training, that can make their lives extremely uncomfortable and painful indeed. What is joint pain? – Your joints are basically different parts of your body, in which other bones meet with one another. Your knuckles for instance, are joints as they connect the fingers to the actual hand itself. Joint pain and discomfort however, not surprisingly, refers to pains, aches, soreness, tenderness, discomfort and inflammation of the different joints in your body. It is a relatively common complain, although seriousness and severity can vary from person to person. For some people, this pain is nothing more than a dull ache whilst exercising, whilst for others, even something as simple as taking a couple of steps can cause them to be in excruciating pain and discomfort. Generally however, most joint pains and issues, do not require hospital visits or medical attention, at least, not immediate medical attention. Why do we get joint pain whilst working out and training? – Joint pain and soreness can be caused by a whole heap of different factors. A person’s weight for example, can play a big role in joint pain, especially in the legs and knees, as these are the joints that bear the majority of a person’s weight. The heavier they are, the more weight these joints need to bear, causing them to become inflamed, damaged, or slightly misaligned. But what about if a perfectly fit and relatively light weight person suffers joint pain whilst working out? Well, this is another common factor to take into consideration. When we exercise, we put great strain and stress on our bodies. Our muscles for instance, are actually destroyed when we lift weights, and they are re-built bigger and stronger by the body as a result. The same goes for our joints, when we run, jump about, are slammed around, or lift heavy weights, our joints can take a real beating. Runners for instance, every time they run, their legs suffer, including their knees, this is because of the constant impact on a hard surface with every step. Every step damages the joints and the tissue surrounding the joints, causing them to become inflamed and swollen, which is of course, very painful. Weight lifting as well. When you lift heavy weights, your joints are not used to the weights, yet they are forced to carry the load still, the same way they would be with a person who was overweight. There are however, certain methods that can be put into place to cut back on the damage and help control and manage the pain levels. Now that you know about joint pain, how common it is, as well as what can cause it, it’s now time to learn about what you can do to manage the pain, or better yet, prevent it altogether. Like we mentioned, joint pain isn’t life threatening, and certainly doesn’t require immediate medical attention, but it can hinder a person’s everyday routines, as well as their health and fitness routine as well, and can make life pretty miserable in the meanwhile. You obviously want to treat and manage your joint pain, or prevent it from occurring altogether, and if you follow the methods laid out in this next section, you’ll be able to do just that. Use certain exercises – It may sound like a slight contradiction here, prescribing more exercise to treat a condition that could very well have been brought on by exercise, but even so, it’s proven to be an effective method nonetheless. When you choose an exercise or exercises which you wish to perform, ensure you select ones which actually allow you to move yourself within your pain threshold and your limits. Ensure they don’t cause any further pain to your joints either. Say for example, that your kneecaps were extremely painful, you wouldn’t then choose lunges or exercises which forced the joints in your knees to carry the entire weight of your body. With that being said, studies have shown that moderate exercise has been very successful at not only treating joint pain, but also for preventing it altogether. Certain exercises are proven to both increase the flexibility of certain joints, as well as their overall strength, which as a result, makes it very effective. Use Cryotherapy (Ice) – Ever wonder why people place ice packs on sports injuries such as damage to the ligaments in the knee? It’s because the extreme cold temperature of the ice, is great for reducing inflammation. It does this by significantly reducing blood flow and circulation around the body. The less blood there is flowing, the less tissue there is to swell and become inflamed. If you happen to feel a slight twinge, nothing painful but just something that isn’t right, place an ice pack on the injury for at least fifteen minutes. The next day, again, apply the ice for fifteen minutes, around 4 – 6 times that day. Always wrap the pack in a towel or cloth so as to avoid ice burns. Inflammation is a very common cause of joint pain, and something as simple as frozen water could make one heck of a difference. Make sure you rest – If you do experience any joint pain or discomfort, use the ice like we suggested, and take a few days off, or even longer depending on the severity of the pain, from the gym and any physical activity. Sometimes a little rest will do wonders, and will allow the affected area to heal by itself 100% meaning that when it has healed, you’ll be able to go about your exercise regime as normal, completely pain free. For some of us, joint pain is unfortunately, and everyday occurrence and now a part of our everyday lives. It’s not nice, and it’s certainly not fair, but it’s the way of the world unfortunately, and no amount of self-pity or anger or resentment will change that. What we need to do instead however, is make slight changes and adjustments to our lives, so as to make any pain and discomfort that we may experience, as easily managed and maintained as possible, not to mention as pain-free as possible. Now, these changes are not drastic, and they are certainly not difficult, and if they are done right, with total commitment and willpower, then the changes and the reduction in everyday aches and pains will be pretty dramatic indeed. Try not to rely on drugs and pills – This may sound pretty shocking to some of you, but hear us out. When you have a headache, what does somebody tell you to do? Take a painkiller such as paracetamol, aspirin, or ibuprofen. If you injure yourself slightly, what will people suggest? Yep, taking a pill. Whilst these painkillers are nothing short of miraculous, they only help to mask the problem, and hide the pain, rather than prevent it or treat it altogether. Not only that, but they’re also very bad for you if you take them for too long, or if you take too many of them, and they can become addictive as well. Instead, you need to try to manage your pain. Use ice, heat, or massages on the affected area, and unless the pain is unbearable, then try to avoid painkillers, as they can end up being much worse for you than the original joint pain and discomfort. Get your weight under control – If you’re like a large majority of people who suffer from joint pain and discomfort, then you could very well be overweight, which will not be doing your joints any favors whatsoever, like we spoke about earlier. The heavier you are, the more stress and weight will be placed upon the joints, and the more pain and discomfort you will suffer. Try to lose weight and get your weight into the healthy optimal range. As well as your joints feeling better, you’ll feel better too due to an increase in self-confidence and self-esteem, and you’ll generally be healthier and more active. Work out how much weight you need to lose to get into a healthy range, and then try to find a weight that weighs that exact same amount. Pick it up and imagine carrying that around all day. Place it down and you’ll realize what a difference it can make. Make changes to your diet – Whether you need to lose weight or not, you should always try and eat a healthy and balanced diet, free of takeaways and fast food and other junk food. Instead opt for healthy, low fat and natural options instead. Foods like fresh fruit and vegetables as these are packed full of vitamins, minerals, antioxidants, and other natural goodness that the body requires. Not only that, but many fruits and vegetables, celery for example, are fantastic natural anti-inflammatory foods, which could help to significantly reduce any swelling, thus helping to relieve soreness and joint pain. Try to get plenty of lean protein, and complex carbohydrates too, as these help provide the body with energy, energy which is required for the growth and repair of muscle tissue, such as that which may become damaged around your joints. The above are not radical, and are not that difficult and they can really make life that much easier for somebody suffering from regular bouts of joint pain, soreness, or discomfort. Back to the editors- By now, we have given you a few simple solutions and conditions to be aware of when dealing with joint pain, or feeling at risk for developing joint pain. 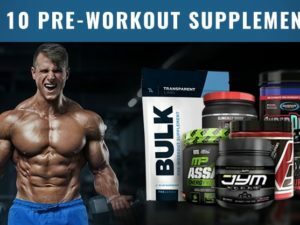 We have considered featuring videos demonstrating select bodybuilding exercises with less joint stress, if you have had a tough time finding other information on bodybuilding joint pain, speak up and we’ll put it all together, post it, and give you an email when it’s up. In the meantime, there aside from prevention we are aware of the supplement super-cissus by USP labs. We know a lot of guys that have had a very noticeable reduction in joint pain and a gain in flexibility and performance. However, we do not yet fully understand if there is long-term repair involved or not.